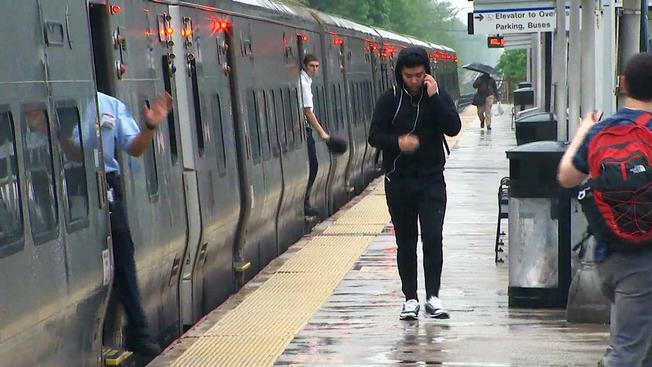 Officials in a Long Island village are proposing legislation to make aggressive panhandling a crime as local residents and business owners cite troublesome encounters at the LIRR station there. Greg Cergol reports. Officials in a Long Island village are proposing legislation to make aggressive panhandling a crime as local residents and business owners cite troublesome encounters at the LIRR station there. "Just coming up to people, bothering them when getting a ticket from the machine and sometimes running after them, tapping people on the shoulder," Dennis McGrath said at the Mineola LIRR stop Wednesday. "They're bothering all the time, since I open the store at 4:30 or 5:00 until closing," she said.